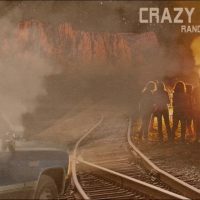 Randy Rogers Band is back with a tune that was just released to radio this morning… “Crazy People.” It’s a song about growing up and your parents telling you what to do… or better yet, what not to do. And finding out they did those same things. Randy tells Rolling Stone Country that as the son of a preacher, he lived this song word for word growing up. And yes, he’s a little crazy too. Their 11-song 8th studio album, Hellbent is set to be released April 26th, and was recorded at RCA Studio A in Nashville with Grammy-winning producer Dave Cobb.